BMW wanted to emphasize the lightness of the GS with the airy sub frame. Drawback: Nothing protects the legs of rider and especially passenger from dirt and wetness. The water splashes unhindered over the boots and thighs. The result is a soaking wet and soiled rider and passenger. Furthermore, dirt and water penetrate deep into any part of the rear sub frame and especially the rear shock absorber unit, battery and final drive. This is damaging for the inside components and metal parts exposed to a constant torrent without any protection. 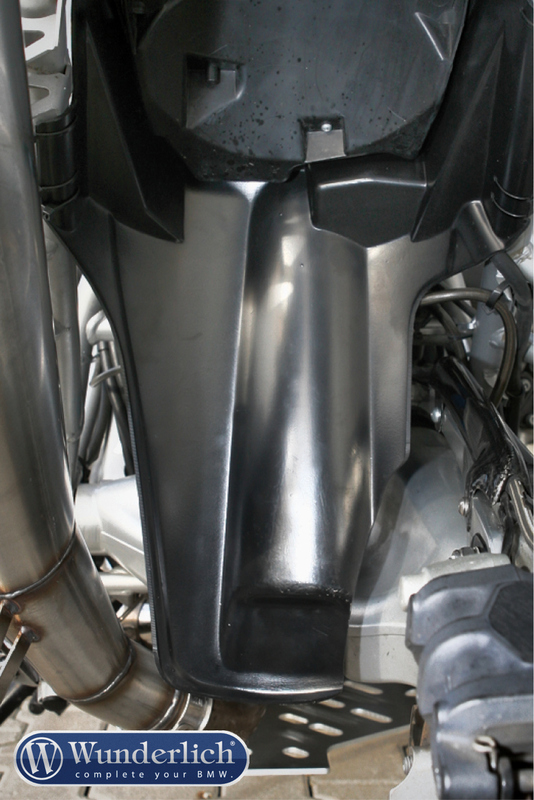 Oxidation and corrosion damage are predetermined, not to speak of the very difficult cleaning of the rear of the bike with its many corners and angles. 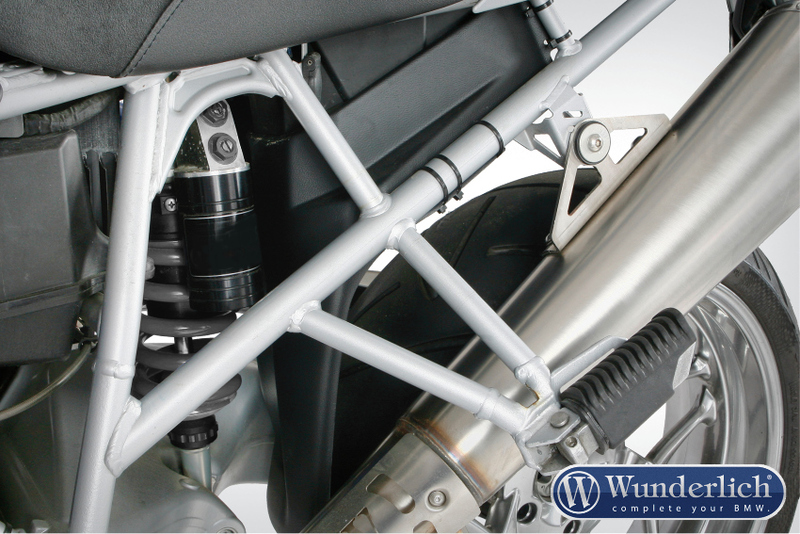 This easily attached inner fender puts an end to all sorts of half baked solutions and protects the complete rear of the bike in a very impressive manner. As an additional benefit the mudguard also visually closes the gap between the air box and rear wheel. This makes the GS design complete. 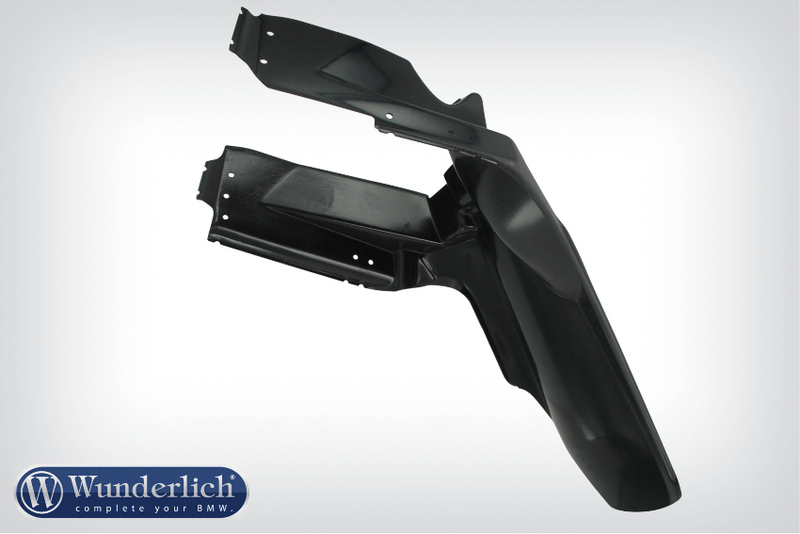 The inner fender is made of ABS plastic and is quickly attached (through strong cable ties), absolutely secure and without any bolts. The effectiveness of this solution is shown impressively on the pictures. The bike without inner fender shows massive soiling reaching far beyond the edge of the seat. 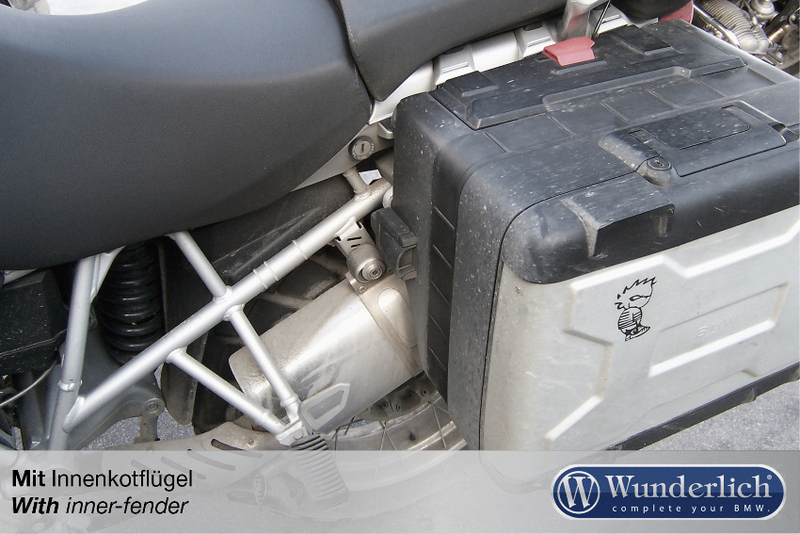 Even the cases and exhaust are clearly protected from the muck. 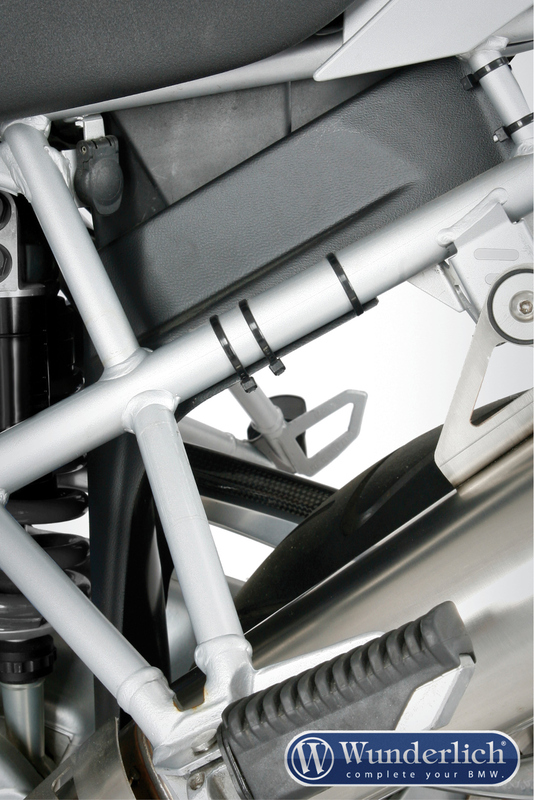 The shock absorber unit clearly shows the sustained protection of all the inner parts. 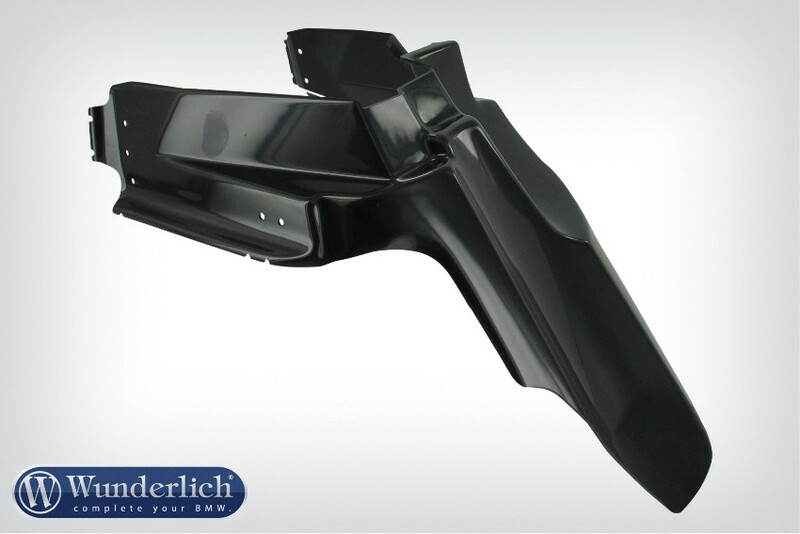 Made from ABS plastic, the inner fender is easily and quickly fitted. 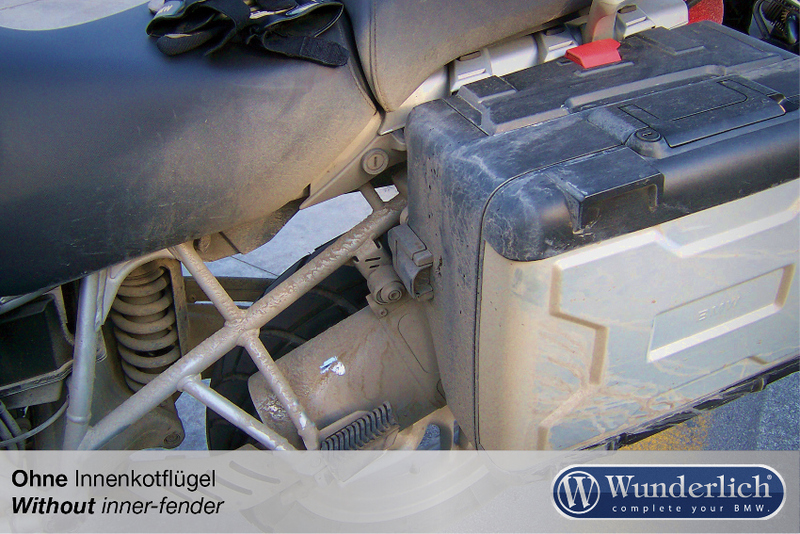 Please note: this inner fender fits only to R1200GS/GSA models from 2009 onwards!